New research shows need for strengthening biblical worldview now more than ever! A study conducted by Barna Group, commissioned by Summit Ministries, shows the need for strengthening the biblical of practicing Christians now more than ever. In previous Barna research, they have determined that only 17% of practicing Christians have an authentic biblical worldview. That leaves a stunning 83% of those who consider themselves to be Christians but do not hold a biblical worldview, what do they believe? 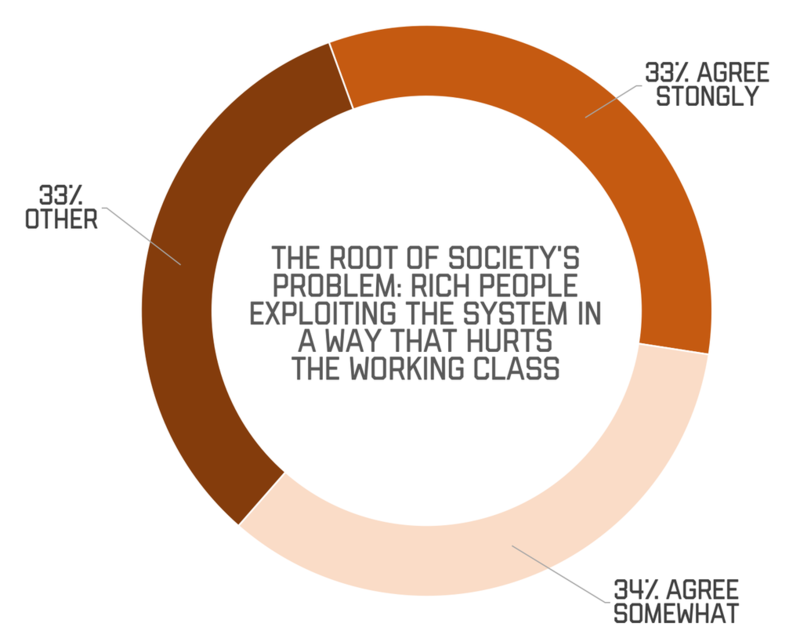 This new Barna research has found these 83% to be adapting an extraordinary amount of ideas that are rooted in competing worldviews: new spirituality, secularism, postmodernism, Marxism, and Islam. Click here to read the report from Barna Group. 38% are sympathetic to the teachings of Islam. From this research we see that Christians are rapidly adopting beliefs that are in direct contradiction with that of Scripture. 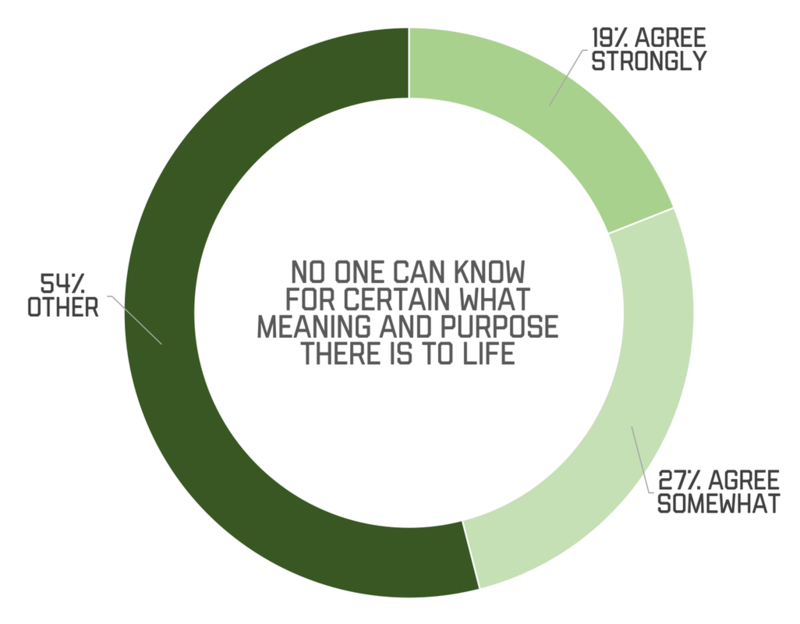 Answering in agreement with statements like "we all pray to the same god or spirit," "no one can truly know what the purpose of life is," and "what is morally right or wrong changes over time based on society". These beliefs can't help but leave us empty handed and empty hearted. Christians, like all humans, are searching for answers to the big questions that they are asking. The problem is, they are looking in the wrong places and finding less than fulfilling answers to questions about love, pain, meaning, peace and hope. This is how The Secret Battle of Ideas about God project was born. Here at Summit, our prayer is that this research, although concerning, may be a call among Christians to more readily defend the answers found in Jesus. All data is representative of practicing Christians. ​Defined as those who go to church at least monthly and consider their faith very important in their life. 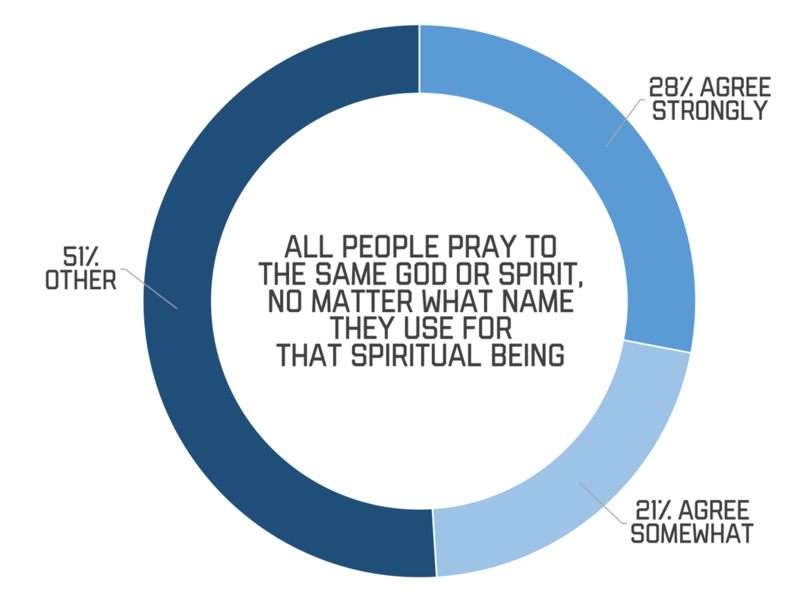 28% strongly agree with the statement that " All people pray to the same god or spirit, no matter what name they use for that spiritual being"
32% strongly agree with the karmic belief that "If you do good, you will receive good. If you do bad, you will receive bad"
13% strongly agree that "A person's life is only valuable if society see it as valuable"
23% strongly agree that "What is morally right and wrong depends on what and individual believes"
19% strongly agree that "No one can know for certain what meaning and purpose there is to life"
14% strongly agree that "The government, rather than individuals, should control as much of the resources as necessary to ensure that everyone gets their fair share"
32% say the problem with society is "Rich people exploiting the system in a way that hurts the working class"
24% say that "The Allah of the Koran is the same God as Yahweh of the Bible"
Research with practicing Christians (who go to church at least monthly and consider their faith very important in their life) included 1,456 web-based surveys conducted among a representative sample of adults over the age of 18 in each of the 50 United States. The survey was conducted in March 2017. The sampling error for this study is plus or minus 2.4%, at the 95% confidence level. Minimal statistical weighting was used to calibrate the sample to known population percentages in relation to demographic variables. Barna has tracked beliefs that make up a “biblical worldview” since 1995, with the data included in this article (17% of practicing Christians have a biblical worldview) coming from an OmniPoll conducted in an online study of 1,066 U.S. adults in July of 2015. Barna defines “biblical worldview” as believing that absolute moral truth exists; the Bible is totally accurate in all of the principles it teaches; Satan is considered to be a real being or force, not merely symbolic; a person cannot earn their way into Heaven by trying to be good or do good works; Jesus Christ lived a sinless life on earth; and God is the all-knowing, all-powerful creator of the world who still rules the universe today.